Just because this new game is related to Angry Birds doesn't automatically make it a sure thing. 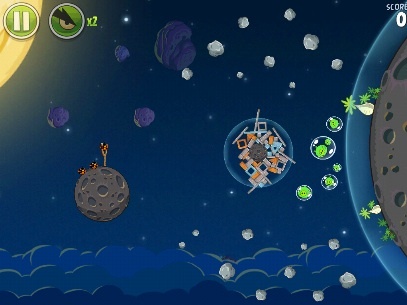 On September 27, Rovio Entertainment releases Bad Piggies for iOS and Android. 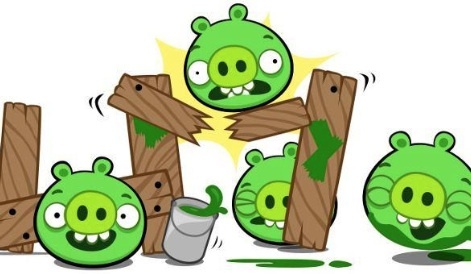 A spin-off to the popular Angry Birds franchise, this somewhat mysterious game ditches the familiar and highly marketable birds for their archenemies, those diabolical oinkers, the green pigs. Considering the company's overwhelming success, it's easy to label Bad Piggies a hit well ahead of its debut. Fair enough, but there also exists the possibility that it will tank, at least by Rovio standards and what fans have come to expect. 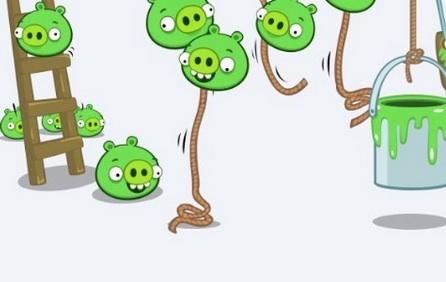 Can the pigs outshine the Angry Birds? Rovio's critics, however few, have been quick to call the studio a one-hit wonder. We'll refrain from going that far, but if these people have anything to go on, it's Amazing Alex. 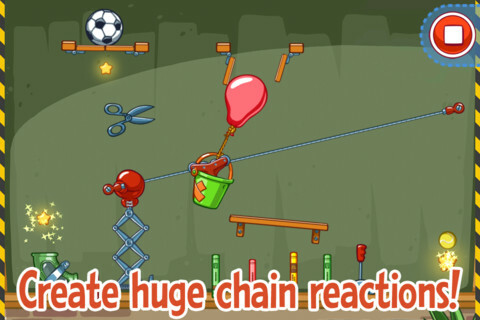 Earlier this year, Rovio attempted to branch out with a physics puzzler (a rebranded version of Casey's Contraptions) that immediately rocketed to the top of the App Store charts, and it's been downhill from there. Despite an Angry Birds game routinely appearing in the top five iPhone and iPad games list for well over a year, Alex plummeted out of the top 20. Currently, it resides at spots 37 (iPhone) and 47 (iPad). This inability to achieve the same numbers as Angry Birds left numerous mobile game fans, including us, questioning Rovio's ability to create a more diverse portfolio, which brings us to Bad Piggies. Turns out, website Fast Company received an exclusive look at the game, and it's no surprise that Bad Piggies is very un-Angry Birds like. Amazing Alex, while good, lacked Angry Birds' appeal. The swine are stranded on a desert island and have to build vehicles and contraptions to make their way to the delicious eggs that they can't seem to get enough of. There's not much intense thinking required: An intuitive interface guides the player in assembling the vehicle, and if it crashes before collecting all three stars, the player is taken right back to the start screen. The Angry Birds franchise remains Rovio's biggest to date. There's potential for greatness, no question, but Rovio has pinned its hopes on the pigs' overall likability, which appears to be a risky gamble. Ultimately, we'll find out whether the Angry Birds had the appeal all along. If Rovio proves the opposite, this could become a second franchise. Then we have the game mechanics. Constructing vehicles and gadgets to track down eggs sounds intriguing, but is a far cry from pulling back on a slingshot to launch different birds at forts built from wood, metal and glass. Angry Birds' simplicity is part of the reason why it's a worldwide phenomenon. Asking the same audience to put their thinking caps on (no offense to them, of course) could backfire. We'll find out if Rovio's Bad Piggies experiment worked September 27. Bottom line, we've yet to see this title in action, so for all we know, Bad Piggies could turn out to be the best smartphone and tablet game of the year. Conversely, and with Amazing Alex still fresh in our minds, Rovio's newest project may fail to achieve the same critical and consumer acclaim. For now, all eyes are on September 27.